However much we love what we do, ultimately we are in business to make a profit so we can pay the bills and enjoy the lifestyle we want. 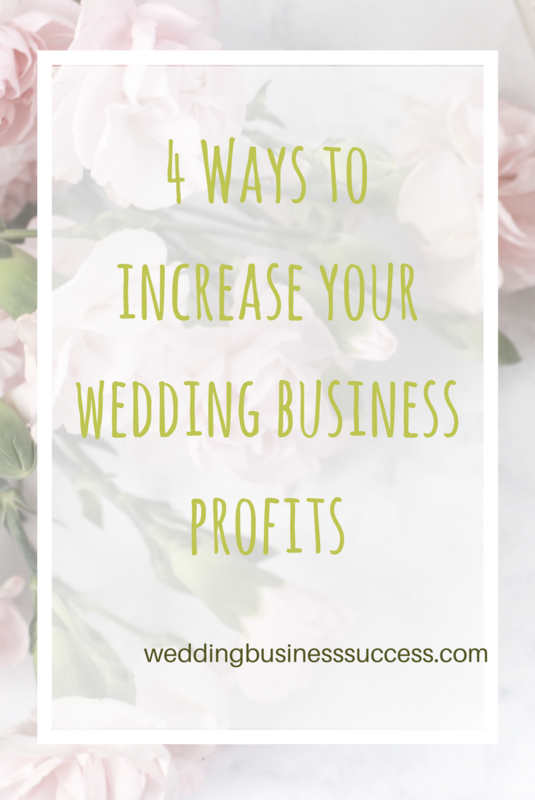 If you are struggling to make enough from your wedding business, here are four areas to look at in order to increase your profits. The obvious way to make more money is to increase the number of clients you have. But it isn’t always easy and if you are already working at your full capacity, taking on more work isn’t the answer. 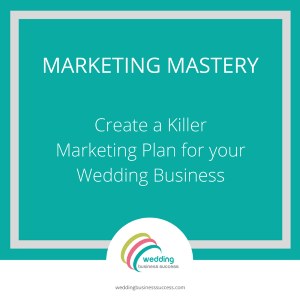 If you do want to increase your clients then you will need to increase or optimise your marketing. Make sure you are marketing effectively and look particularly at ways you can increase your sales without spending lots more on advertising. Referrals are a good option – can you offer an incentive for your existing clients to recommend you? Is your business a lean, mean machine – or is there scope to cut costs without impacting on the quality of the product and service you offer? These are things like rent, utilities, insurance, technology. Are you getting the best deals on telephone plans, IT support and so on? If you buy stock, can you find negotiate discounts with suppliers? It’s always worth asking – especially if you have been a customer for a while and have increased your spending over the years. And do look out for alternative suppliers – especially for non-critical items like office stationery. Are you spending your marketing budget wisely, or are there areas where you are not getting a good return? Review your advertising and marketing spend periodically to make sure you get the best possible results from your investment. Do, however, be wary of cutting your marketing spend to save costs – the last thing you want is to reduce your sales too. Giving everyone a pay cut isn’t going to be very popular, but there are ways you can keep your staff costs under control without causing upset and resentment. If someone leaves, take the opportunity to review your staff levels and ensure you are operating at the optimum level. Look at your processes – are there things you could do more efficiently? All of us get seduced by “Bright, Shiny, Object Syndrome” every once in a while! Whether it’s upgrading your laptop to the newest version, buying that fabulous new lens for your camera or attending a workshop. It’s fine to give yourself (and your staff) a treat from time to time, but extras can add up so make sure you keep a close eye on your indulgences. Often the simplest way to increase profits is to increase your prices. With costs and effort staying the same, the extra revenue is pure profit. Many wedding businesses are scared to raise prices because they fear losing clients. 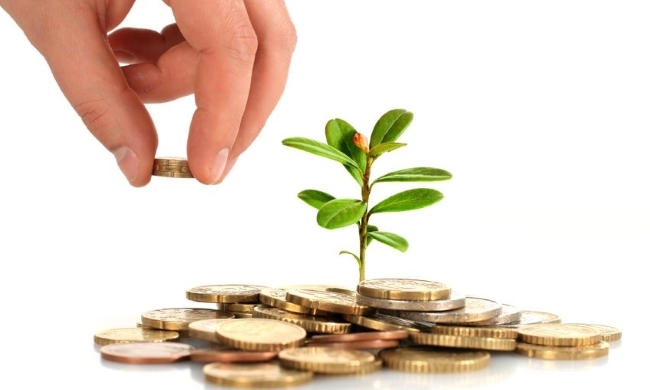 But a small increase can have a big impact on your bottom line without affecting sales. Contrary to popular belief, brides are not always looking for the cheapest – they want the best value. And sometimes raising prices can increase sales too as a cheap product or service is perceived as low quality. The fourth way to increase profits is by selling more and/or higher margin products to your existing clients. With no extra marketing costs, raising the average spend per client is a great way to make more money for yourself. Are there any added extras you could offer that your clients will value and for which they will pay a premium? Many wedding vendors do this by offering Gold, Silver and Bronze level packages.